One of the smartest things the television program Doctor Who ever introduced is the concept of regeneration. Time Lords are immortal, after all, and when they die in one body they can come back in another body that just happens to look and sound completely different. When the first Doctor William Hartnell got sick in real life in 1966, his doctor regenerated into Patrick Troughton’s doctor. Since then, Doctor Who has been regenerated more times than Joan Rivers has had facelifts. 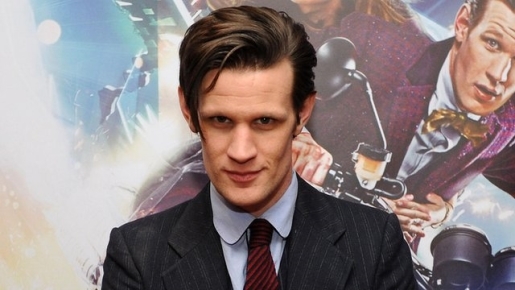 Prepare for another new Who; Matt Smith will be leaving Doctor Who at the end of 2013. “It’s been an honour to play this part, to follow the legacy of brilliant actors, and helm the Tardis for a spell with ‘the ginger, the nose and the impossible one’. But when ya gotta go, ya gotta go…” said Smith in his announcement. It’s sad to see Smith go, especially since an American television star would just be buying a brand new house with his money, but apparently British actors–who aren’t used to the load of seasonal television–like to leave before they wear out their welcome. This way, the Doctor Who superfans will continue to rate them highly in the arguments about who is the best doctor. I’m sure Steven Moffat will find a good replacement; after all, he did a pretty good job with this one, even if the stories aren’t quite consistently good.